John Cage (1912-92) defined such a radical practice of musical composition that he changed the course of modern music in the last century and shaped a new conceptual horizon for post-war art. This book traces a path through the artist's career, from his initial works in the 1930s, pieces that broadened the parameters of percussion music by incorporating the most unconventional of instruments, leading to his 'prepared piano', moving to his famous theory on 'silence' (and the score 4'33"), his pathbreaking deployment of chance and then indeterminacy, and culminating his innovative multimedia work, which began in the 1960s and continued through the 1980s. 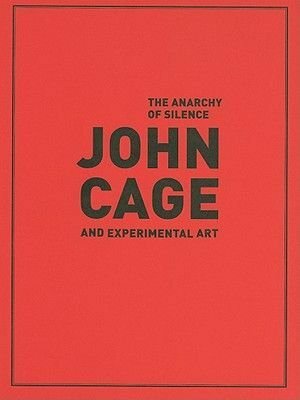 With this book, the MACBA aims to capture the relevance of Cage's contribution to present day contemporary art. One of the sections will chart the network of repercussions as Cage's radical conceptual transformation of 'composition' entered the strategies of advanced art. A trajectory framed by dialogues with artists - Marcel Duchamp, Robert Rauschenberg, Robert Morris, Ellsworth Kelly, Fluxus among many others - and reacting to the same emergent media as Andy Warhol.